Podcasting has crossed into the mainstream. Local radio is still king of the car. More than one-quarter of Americans now own a smart speaker. These are just some of the headlines from the anticipated 2019 Infinite Dial report from Edison Research and Triton Digital, which has become one of the audio industry’s biggest research events of the year. We’ve been saying podcasting is booming and now we know just how big it is. 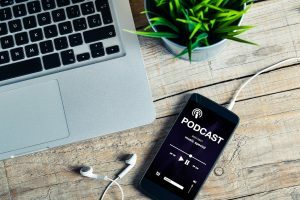 About half of all Americans have ever listened to a podcast, one-third have listened at least once a month and nearly one-quarter stream a show weekly. “Make no mistake, this is podcasting crossing into the majority,” noted Tom Webster, senior VP for Edison Research. On average, Americans are listening to seven podcasts per week. Year-over-year, podcasting is showing impressive gains, adding 17 million more monthly listeners and 14 million weekly listeners over 2018. Despite more in-car media choices than ever, drivers are still devoted to AM/FM radio. Among all audio options, about half of drivers (51%) say they use AM/FM radio the most while driving, followed by owned music (15%); SiriusXM (15%); online audio (12%); and podcasts (4%). In the last two years, local radio’s share has dropped slightly, while online audio and podcasting make gains. Since change in the car happens slowly (people don’t buy new cars that often), radio is in position to maintain its lead for the foreseeable future. And broadcasters are likely growing their in-car digital listening as well. In the report, AM/FM station live streams are included in the online audio category, so gains in that category should benefit radio, as will increases in podcast listening. Smart speakers are quickly becoming the new digital radio and users are buying multiple devices. In 2019, about one-quarter of Americans, or 65 million people, now own a smart speaker, and half of those households have two or more devices, including 24% who have three or more. Amazon’s Alexa is still the market leader, followed by Google Home. Other studies have shown that many smart speaker owners use them to listen to music and access local radio, indicating these devices are becoming the new in-home radio. Social media usage is stagnating and Facebook is fading, particularly with younger demos. While 223 million Americans use social media, their ranks haven’t grown much in the last few years. Part of the reason for that stagnation is that fewer Americans are using Facebook, the largest social media network, and that’s particularly true for younger adults. While Facebook remains the number one social channel with 61% of Americans 12+ using the network, it’s down from its peak of 67% in 2017, which equals 15 million fewer users. Among 12 to 34-year-olds, Facebook usage dropped from 72% in 2017 to 62% this year, which translates to 17 million fewer users in the demo. At the same time, Instagram has made gains with younger users and is their no. 2 social channel, while Snapchat has been a strong third-place finisher. Online audio listening continues to grow and that creates opportunities for radio stations as well. A record 189 million Americans are listening to online audio monthly, which includes AM/FM stations online streams and pure play services like Pandora or Spotify, and 169 million listens weekly. These users are listening for an average of 16 hours and 43 minutes per week. As more users turn to digital streaming and increase their time spent with audio, radio stations have new opportunities to connect through websites, mobile apps and podcasts, and grow their listening and ad revenue. With so much positive momentum behind the audio industry, radio broadcasters are in a prime position to grow their digital assets, as well as over-the-air listening. When you put the two together, as we do here at Federated Media, the possibilities for our listeners, our stations and our clients look better than ever. For more information on the 2019 Infinite Dial study, you can watch the replay of the presentation or download the slides.